Most fatal warnings are type loader issues. When type loading fails BCF Editor can not work with any function, validator etc. An issue like a missing mandatory field disables code generation. Saving your bcf-file is granted. 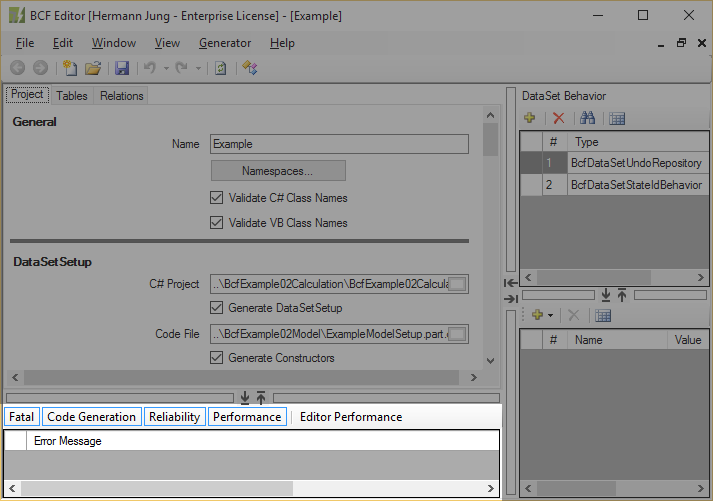 BCF Editor recognizes some strange scenarios and sets a warning without disabling code generation (e.g. nullable primary keys; runtime preventable circular references [self join] see also Dependency Browser Dialog). A few validators checking for poor performance settings. Shows a simple performance statistic.